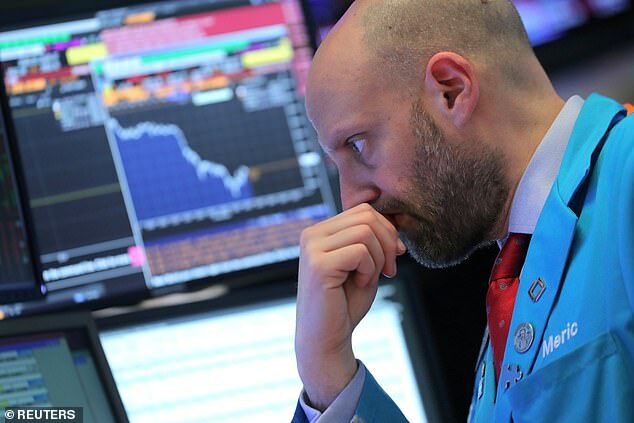 Markets have plunged after the arrest of a top Chinese executive renewed fears of a trade war, as sliding oil prices added to the pressure. At the opening bell on Thursday, the Dow Jones Industrial Average fell 290 points, or 1.16 per cent, to 24,737.42. The S&P 500 opened lower by 36.55 points, or 1.35 per cent, at 2,663.51. The Nasdaq Composite dropped 141.37 points, or 1.97 per cent, to 7,017.05 at the opening bell. Markets worldwide were roiled following the revelation on Wednesday that Huawei CFO Meng Wanzhou had been arrested on suspicion of violating U.S. sanctions against Iran. In a move that observers call shocking and unprecedented, Meng, the daughter of Huawei’s founder, was arrested on Saturday in Vancouver, Canada and is set to be extradited to the U.S. to face the federal charges. China’s embassy in Canada harshly criticized Canada and the U.S. for the arrest. It also demanded Meng’s immediate release and denied she had violated any U.S. or Canadian law. ‘China has already made solemn representations to the United States and Canada, demanding they immediately correct their wrong behavior and restore Ms Meng Wanzhou’s freedom,’ the embassy said in a brief statement. U.S. authorities have reportedly been probing Huawei since at least 2016 for allegedly shipping U.S.-origin products to Iran and other countries in violation of U.S. export and sanctions laws. Meng’s arrest threatens to upend a newly minted trade truce between President Donald Trump and Chinese President Xi Jinping, which the two parties reached on the sidelines of the G-20 in Argentina on the same day as the executive was taken into custody. Shock waves from the arrest rippled around the globe, with markets in Asia, Europe and Latin America all taking a beating.